Here we go again, TransLink’s famous planning exercises that in the end will please no one and achieve very little. There is no bold ‘grand plan’ but more of the same, a little BRT here; a little SkyTrain there, with a hint of LRT thrown in to keep the trolley-jolly types happy. With all the information available today, with all the examples of modern LRT, TransLink goes back to its dated and questionable planning practices which are a blend of distortions and misinformation. The Light Rail Committee’s 1990’s plan, the BCIT to UBC and Stanley Park LRT is simply a much superior plan, which had a vision for Vancouver’s transit needs for the next half century. Alas, not in Vancouver, where tunnel vision, subway tunnel’s that is, still rules how TransLink bureaucrats still plan for transit. If TransLink is to have any credibility, it must ‘think out of the box’, they have not and what they present as transit planning is the ‘same old song and dance’, with TransLink’s patented ‘dog and pony show’. Transit customers and regional taxpayers deserve better. The following are the six transit alternatives presented by TransLink. 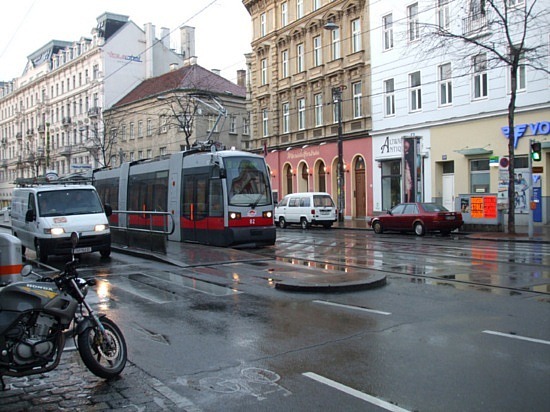 Buses are not ‘rapid transit’ as the definition for ‘rapid transit’ is a heavy-rail metro installation. 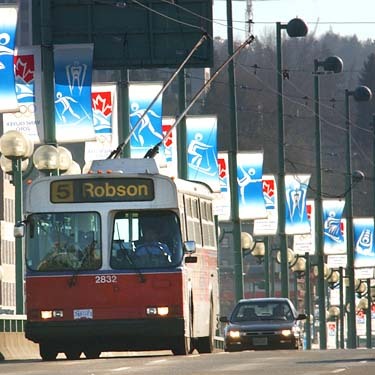 BRT in North America is really express buses or buses operating on a busway. 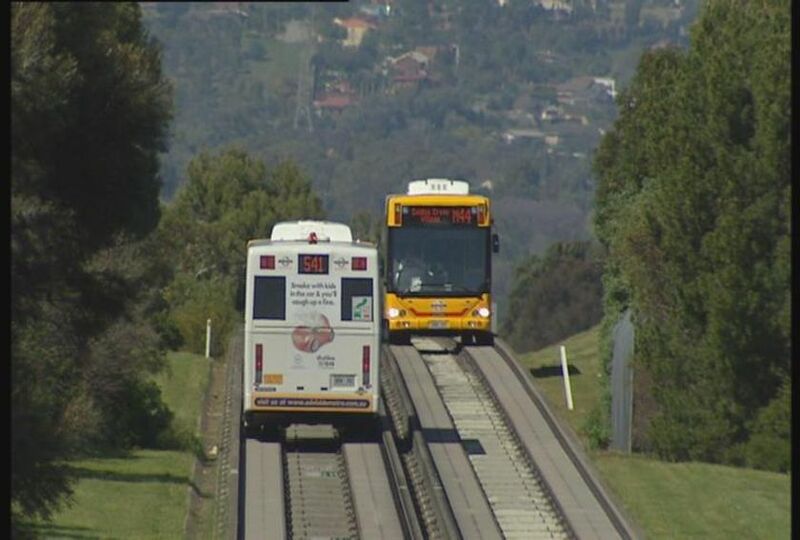 For buses to truly compete against ‘rail‘ they must be guided, either kerb guided or rail guided (optical guidance has been proven far too troublesome), which requires a ‘reserved rights of ways‘ or a route used exclusively by transit. Guided bus has proven to be a third less costly to build than light rail, but has proven disappointing in operation, by not attracting new ridership. For many a bus, is a bus and perceived as a second rate transit mode and remain taking their cars. 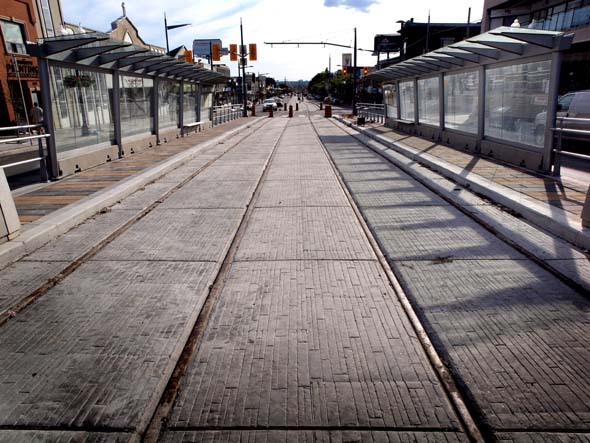 BRT, if built, would prove only slightly cheaper to build than LRT, with none of the operating benefits. Like BRT, LRT is by definition not ‘rapid transit’, but is light rail a separate ‘rail’ mode built to solve different transportation problems. 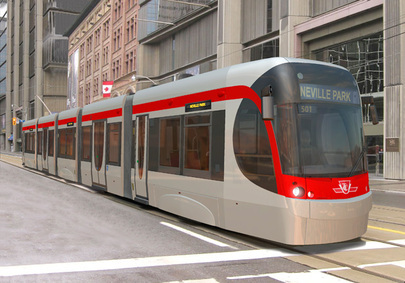 What makes LRT different from a streetcar is the concept of a ‘reserved rights-of-ways’ (RRoW’s), where the streetcar operates on an exclusive route free from traffic, add in preemptive signaling at intersections and LRT operation can rival its much more expensive cousin heavy-rail metro, in operation. 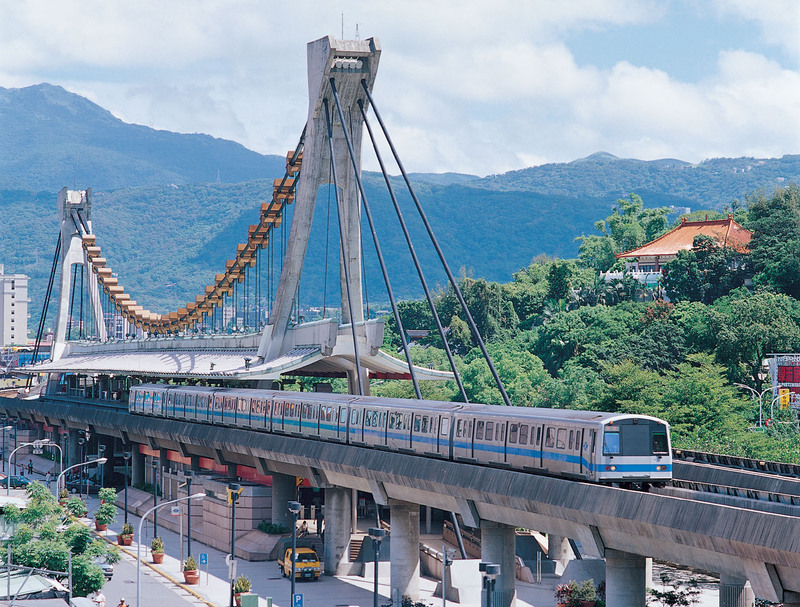 Modern LRT has all made light-metro such a as VAL and our SkyTrain obsolete. Clearly, TransLink has only dusted off BC Transit’s Broadway Lougheed ‘rapid transit’ planning from the early 90’s and cobbled together this loser. No thought has been made to provide a customer friendly transit service and again TransLink planners prove that they plan for LRT as a ‘poor man’s’ SkyTrain. 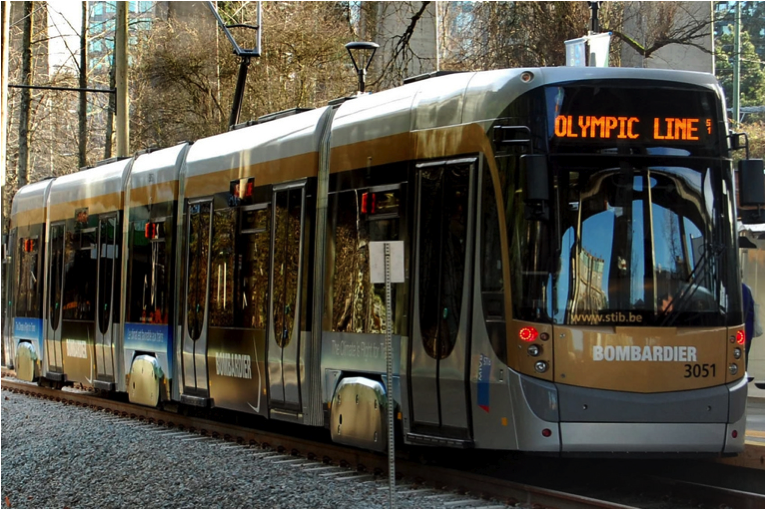 The second LRT alternative, feeding a second line to the Olympic Line, seems to have been planned on a back of an envelope to take advantage of the recent success of the now closed Olympic Line. Another daft TransLink plan. It seems that TransLink is scared by the term subway or metro and use the very strange term Rapid Rail Transit, more to confuse people than anything else. The name is to infer that it is fast and for TransLink, the speed of a transit line is their mantra. But the higher speed from a metro comes from grade separation and fewer stations, which means an expensive ‘shadow’ bus operation to try to feed the metro. Metros are very expensive to build and are not very good in attracting new ridership and guess what, SkyTrain is a metro, yet has seemed very poor in attracting the motorist from the car. Strange to, that SkyTrain was first conceived to be elevated to mitigate the massive cost of subway construction. Rail Rapid Transit or metro is only built if ridership demand (15,000 pphpd or more) warrant the huge expenditures required to build and operate the mode. This is truly bizarre and it seems TransLink is trying to please Bombardier, by having a ‘rail‘ option for both their LRT/tram line of vehicles and SkyTrain. Really, what has been proven over and over again is that transfers deter ridership, yet TransLink loves to force transfers on transit customers. This option is expensive and extremely poorly thought out. It would save TransLink a lot of grief and money by promoting an European style of bus service with stops every 400m to 500m, with faster commercial speeds and better productivity. The Best Bus is well past its ‘Best By’ date but probably will be the winning option due to TransLink horrendous financial problems.